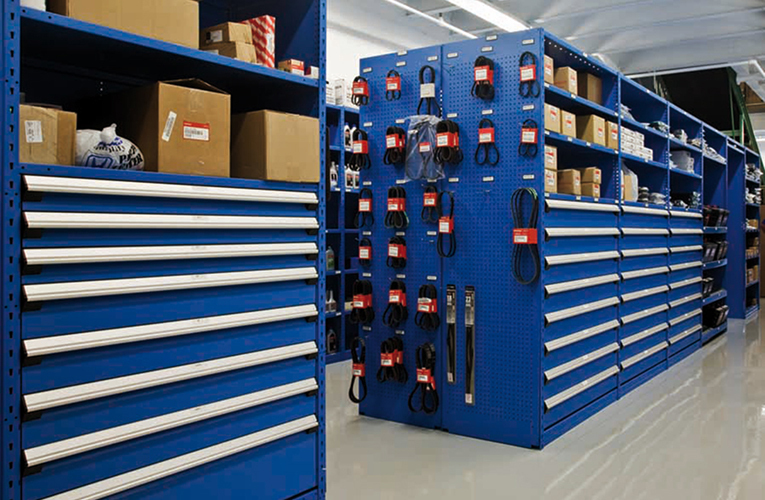 Designing shelving systems for installation in the parts departments is a trademark of Metric Storage Systems. We start with a consultation and work with your company to implement a turnkey system that works best for your individual storage requirements. 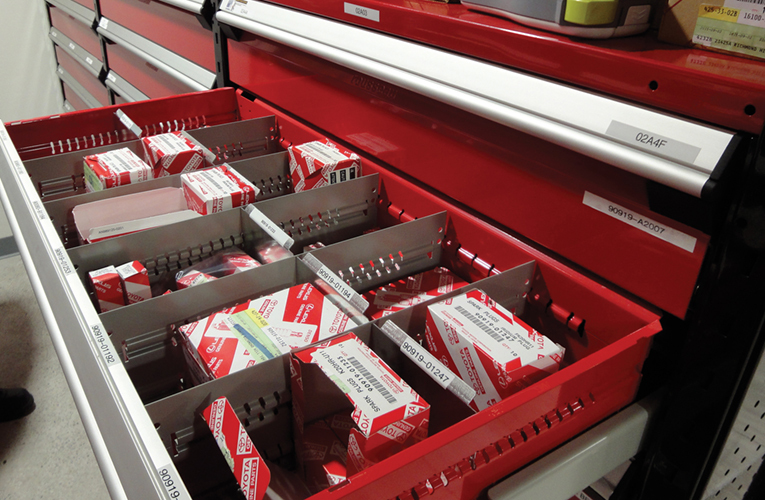 With the Spider Shelving System, Rousseau has elevated the performance standard in the storage industry to a new level. 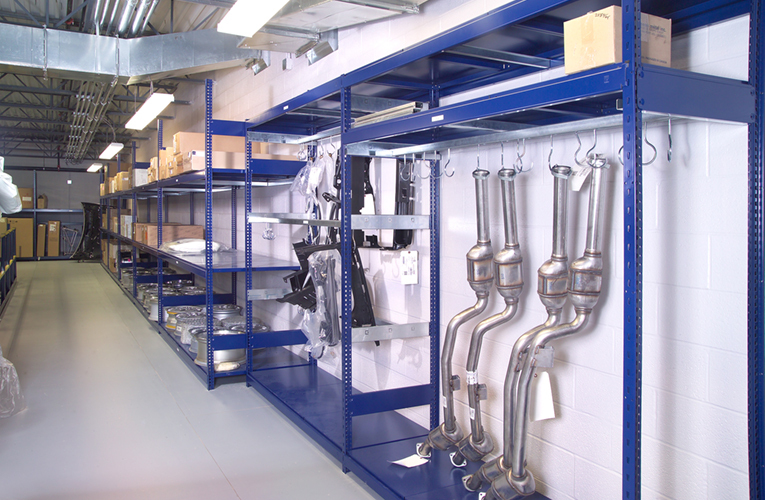 This incredibly strong boltless shelving system is the culmination of years of research in the automotive industry. We know your business and the parts of varied sizes and shapes you handle – and that’s why we offer solutions that are both adaptable and cost effective. 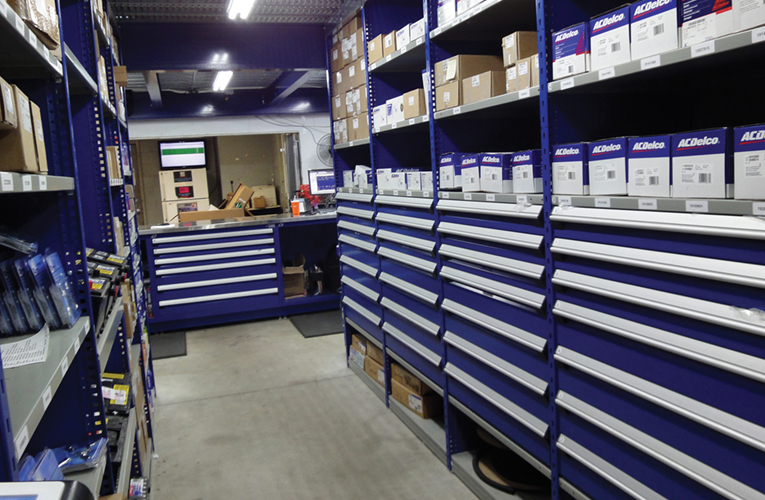 Our drawers in shelving system and specialized racks (for mouldings, bumpers, exhaust pipes, tires, etc. 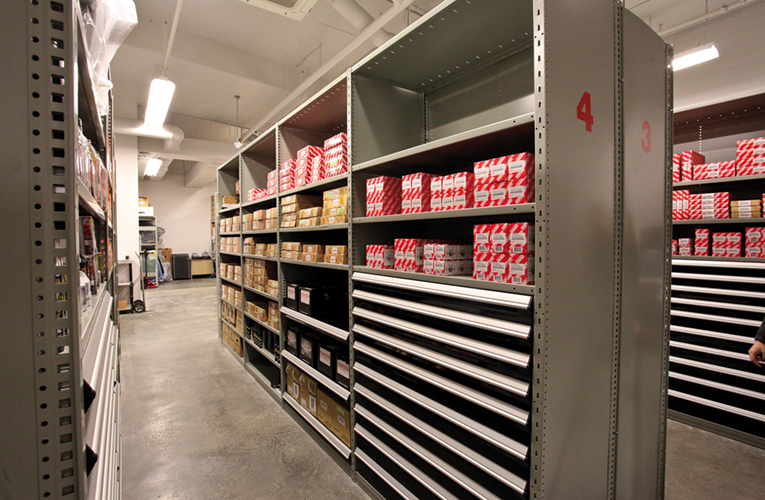 ), were all designed with the Automotive Parts Department in mind. One of the many strengths of our system is that it adapts to your environment and evolves with your company’s needs. With numerous dimensions and accessories offered, you can create your own customized layout to complement the structure of your building. 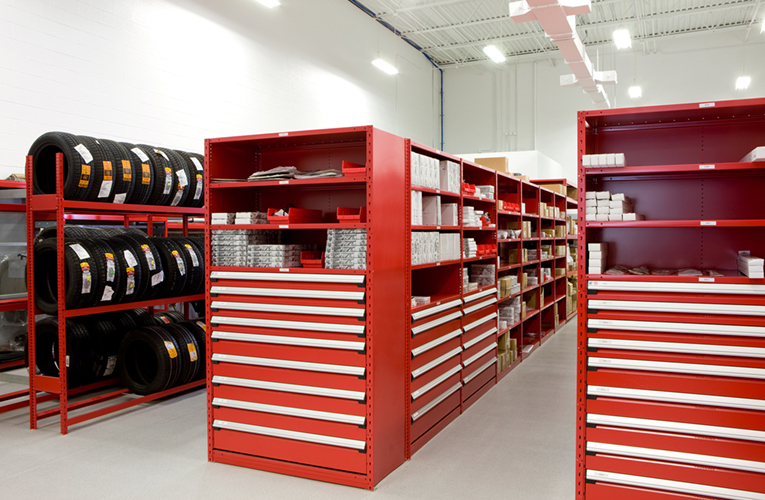 How can you store mufflers, bumpers, body parts, batteries, tires and still have room to manoeuvre? The solutions simple: A well-designed shelving system. I agree to receive the occasional email newsletter regarding Metric products and promotions. I can unsubscribe at any time by following the link in at the bottom of the emails. Yes, please keep me up-to-date with news and special promotions.